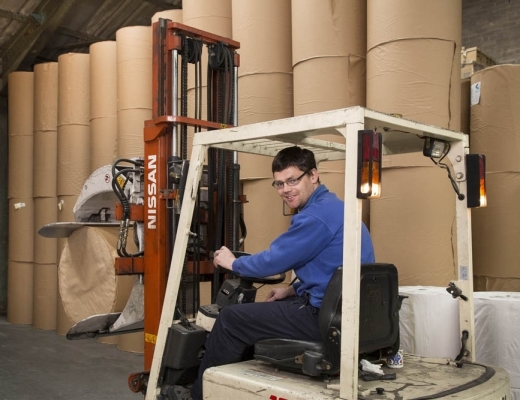 We hold stock in our warehouse of a variety of sizes, weights and colours of tissue paper, both in reel form for printing and converting, and ready packed into reams. Our Machine Glazed (MG) tissue is stocked in white, cream and a natural kraft colour. It is manufactured in Europe, from 100% recycled content. It is acid free with a high glaze, opaque colour and we stock weights between 18gsm and 70gsm. It is perfect when a stronger paper is required. We stock Machine Finished (MF) paper in white, black and cerise colours. MF tissue has a crisp feel, no glaze and we stock 18gsm weight reels. The white paper is semi-transparent and looks beautiful printed.